NEXIF Energy, a South East Asian independent power producer, has entered into an agreement to subscribe additional equity in Viet Hydro Pte Ltd. The proceeds will be used by Viet Hydro to further consolidate its holdings in the Coc San hydro-electric project in northern Vietnam. ZincOx Resources plc has entered into a Memorandum of Understanding (MoU) with Korea Zinc Company Limited for the joint development of a recycling plant in Vietnam. The MoU sets out the principle terms of a Joint Venture Agreement under which Korea Zinc and ZincOx will jointly design and develop the new recycling plant. VIETNAM’S growing power sector is driving demand for coal with domestic supply struggling to keep pace, requiring greater emphasis on imports from Australia, Indonesia, Russia and China. ASIAN Mineral Resources (AMR) exceeded its 2015 production targets at the Ban Phuc Nickel-Copper Project. The operation milled 447,746 tonnes, which was 18% above the target for the year. PHI Group, a US public company engaged in energy and natural resources, has signed an agreement to partner with HTMI Co Ltd, a Vietnamese company owning a titanium mine and operating a slag factory in Binh Thuan Province. The agreement is likely to result in an increase in annual production capacity to 150,000 tonnes and an upgrade of facilities to produce refined titanium products. ASIAN Mineral Resources (AMR) continues its strong operational performance at the Ban Phuc Nickel-Copper Project in Vietnam with above guidance production and strong mill recoveries. The company says that strong operational performance continues to underpin the business during the extended low-pricing cycle. Asian Mineral Resources (AMR) continued its strong operational performance at the Ban Phuc Nickel-Copper Project in Vietnam during the September quarter with above guidance production and strong mill recoveries. AT the April meeting of the Besra Board of Directors George Molyviatis was appointed as a director. The appointment is in accordance with the terms of the first Can$2 million tranche of a Can$15 million financing of Besra by InCoR Holdings. ASIAN Mineral Resources’ (AMR) continues to demonstrate that the Ban Phuc Nickel Project is a resilient operation even in a tough nickel price environment. This was borne out in the March quarter when Ban Phuc had strong production and solid sales while continued operational optimization resulted in a further increase in process plant recoveries to 87% for nickel and 94% for copper. Myson Group Inc has reached an agreement to acquire 50.9% of Vietnamese firm Van Phuc Holding Building and Trading JSC. 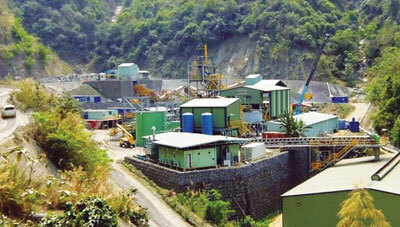 Myson is a US-based mining firm which recently changed its name from Vanguard Mining Corporation. Van Phuc Holding engages in several business activities, including building and construction, infrastructure, mining, real estate and trading. EXPLORATION by Asian Mineral Resources’ (AMR) subsidiary Ban Phuc Nickel Mines at and around the high-grade nickel mine at Ban Phuc in northern Vietnam has identified multiple new high-grade nickel targets. Fourteen new high-priority targets have been identified to date, taking the regional inventory for nickel and copper targets to 28. Strong first quarter production and solid sales at the Ban Phuc Nickel Project have demonstrated Asian Mineral Resources’ (AMR) resilient operation even in a tough nickel pricing environment. The company has also made significant progress with exploration which continues to add greater understanding to the structural controls on high-grade zones within the disseminated resource base. With the operations ramp-up at Asian Mineral Resources (AMR) Ban Phuc Nickel Project complete, the company has exceeded target production and sales. Mill production for 2014 was 12% above the targeted amount of 375,000 tonnes while mill recoveries of 85.2% were also above target. STATE-OWNED coal producer Vinacomin plans to further reduce coal exports this year owing to increased domestic demand. The enterprise plans to produce 38 million tonnes of coal in 2015 with 35 million tonnes to be sold domestically with the remainder, representing 8% of output, to be exported. HAZELWOOD Resources is seeking accreditation as a Conflict Free Smelter (CFS) for the production of ferrotungsten from its ATC Ferrotungsten Project at Vinh Bao. Following an audit conducted at the plant by EICC-GeSi last October, the company expected to receive a final decision by the end of April. THE preliminary feasibility study for a nickel matte smelter at the Ban Phuc Nickel-Copper Project of Asian Mineral Resources (AMR) is nearing completion and results are expected shortly. The smelter is expected to significantly enhance the economics of Ban Phuc by reducing export tariffs from 20% on nickel concentrate to 5% on nickel matte. Besra has signed a Heads of Agreement which paves the way for one of Vietnam’s leading financial institutions to become a significant partner in Besra’s Phuoc Son project whilst injecting new capital. The agreement provides for a co-ordinated investment in Phuoc Son Gold Company (PSGC) that includes significant new capital and ownership restructuring. Besra has welcomed a new decree by the Government of Vietnam that will provide for a much more reasonable method of calculating the royalty rate for gold producers in the country by allowing for much of the cost of production to be deducted before the 15% royalty on gold is applied. Besra is preparing to sign a heads of agreement with a leading Vietnamese financial institution which will see its Phuoc Son Gold Project recapitalized and facilitate a return to production. This is not expected to take place until after the Vietnamese Lunar New Year celebrations.